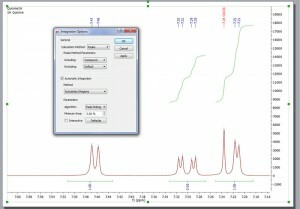 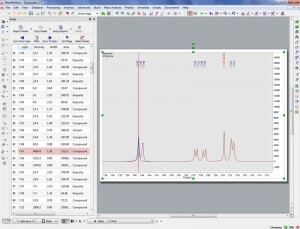 This is a major change to Mnova NMR functionality. 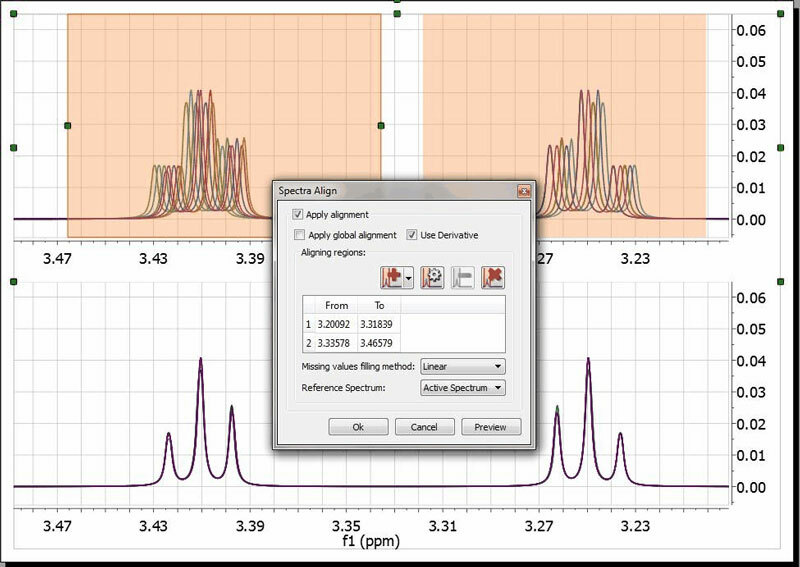 The default automatic Peak Picking algorithm is now based on GSD, rendering enhanced resolution, identification of overlapped peaks and also including autodetection of solvent and impurities. Example of the enhanced resolution achieved by the new Peak picking algorithm, now capable of identifying shoulders on large peaks as smaller peaks and of labelling and include them in multiplet analysis. 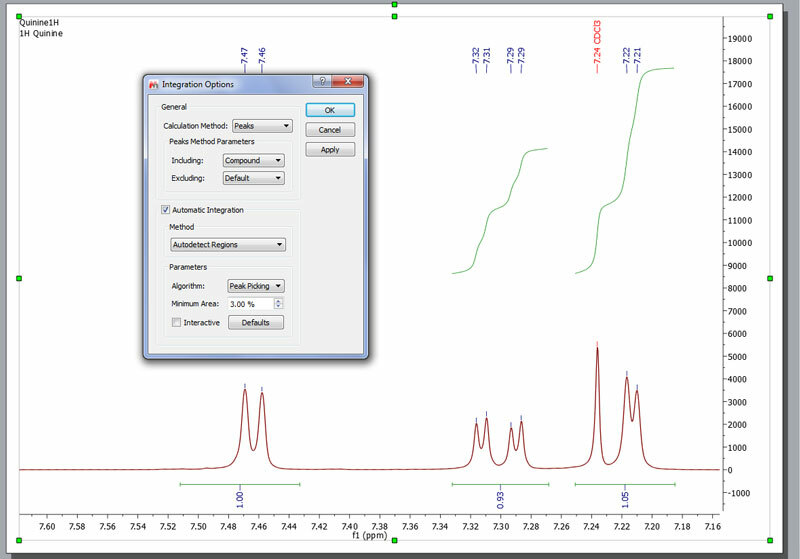 The user now enjoys the capability of selecting which kinds of peaks are to be shown/hidden (Compound, Solvent, artifacts, etc). 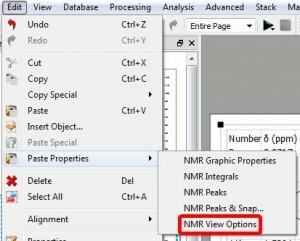 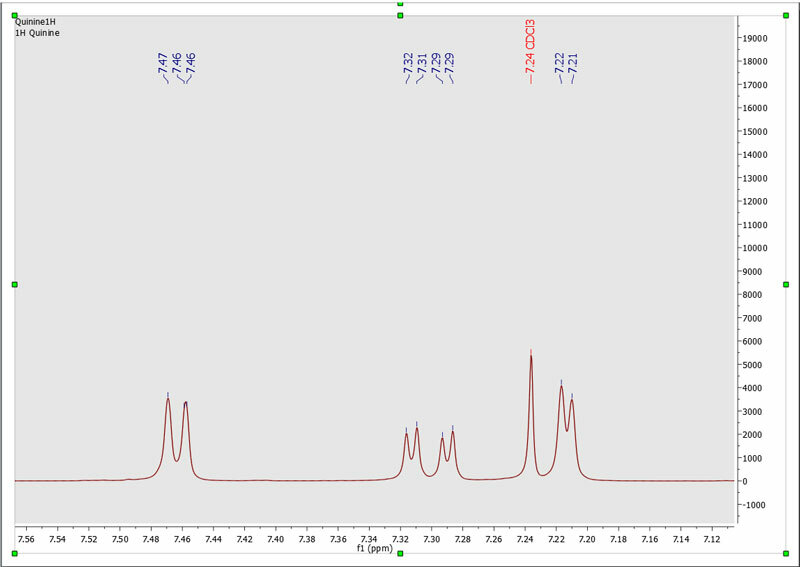 Peak labels are also hot areas which can be selected and interacted with just by right clicking on it (NMR peak context menu). 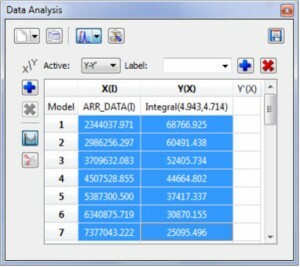 Integration The integration algorithm in Mnova also benefits from the exploitation of GSD capabilities, with GSD generated integral values becoming the new default in Mnova. 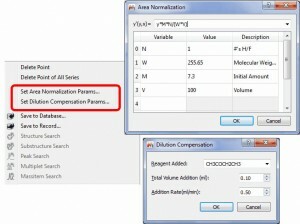 This will give the user the ability to select what kind of peaks will be taken into account for the integration. 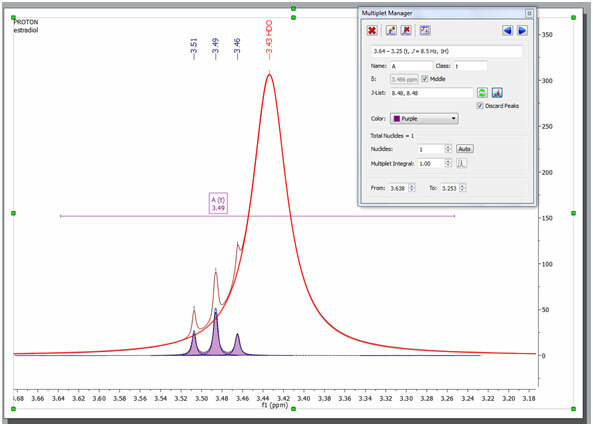 In the example below we have excluded the solvent signal for the integration. 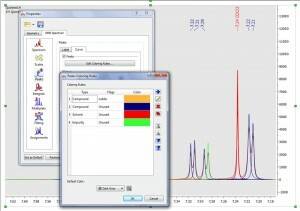 Capability to compare integral values of different spectra. 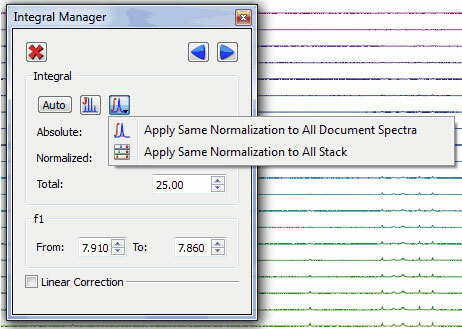 It will be possible to apply the same integral normalization to all the spectra (in the current document) or to all the traces of a stack plot by selecting the applicable option, as you can see below. 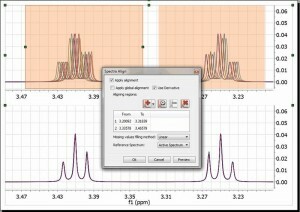 This is very useful if you need for example to determine relaxation times from a series of 1D spectra, to be able to compare the integral values between the different traces. Multiplet AnalysisOnce again, Multiplet Analysis benefit directly from the exploitation of GSD capabilities to carry out the automatic analysis, with the enhanced peak picking capabilities resulting in much more reliable automatic multiplicity identification and labeling. New Multiplet Analysis Options (independent of peaks and integrals settings). 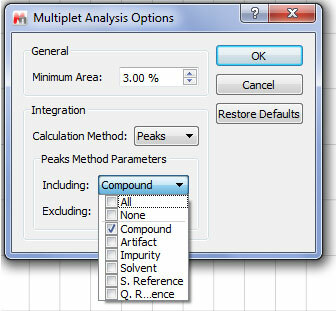 You will be allowed to select the minimum area and what kind of peaks (Compound, Solvent, artifacts, etc) will be taken into account for the multiplet analysis. 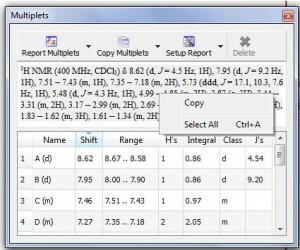 Capability to show number of multiplets as a floating point number in the multiplet label. 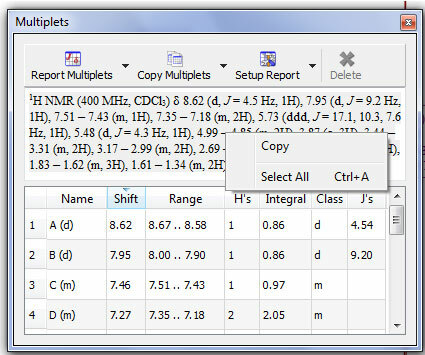 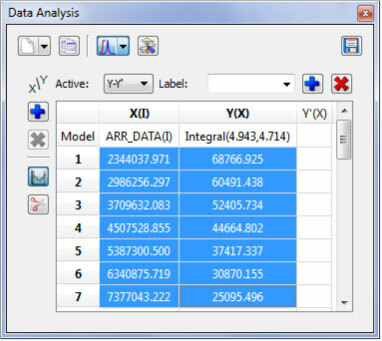 Copy the multiplet report from the table by using Ctrl+C. 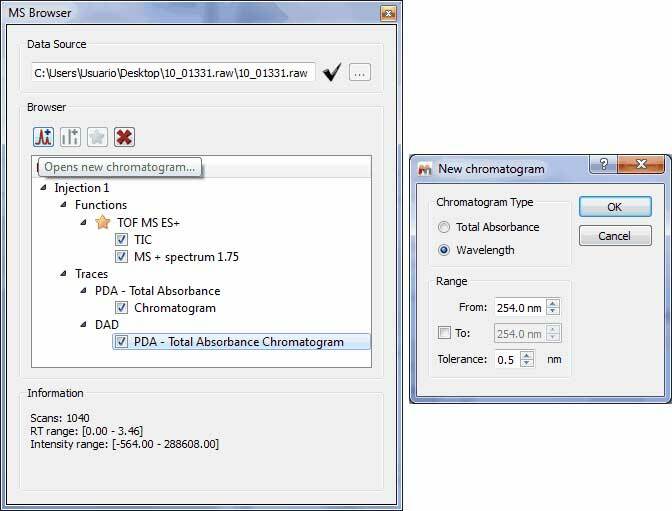 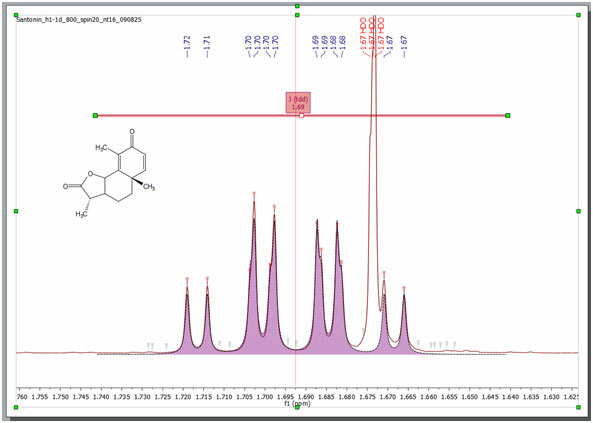 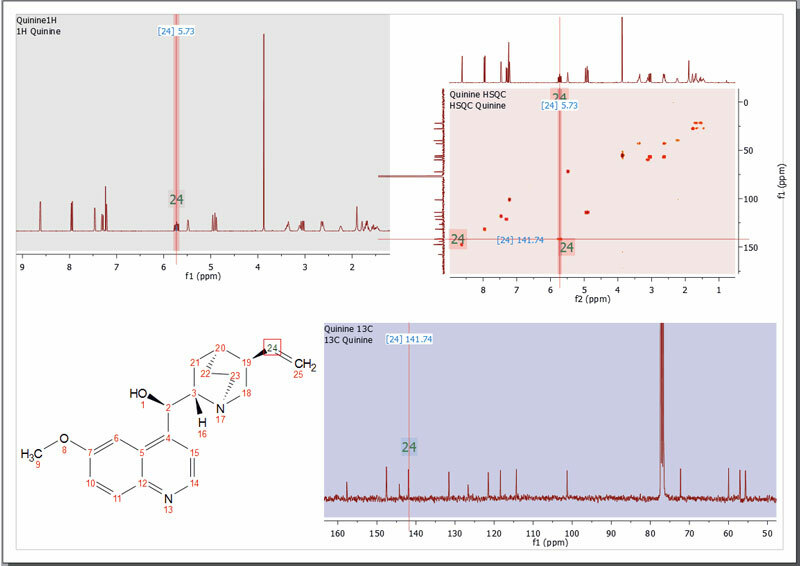 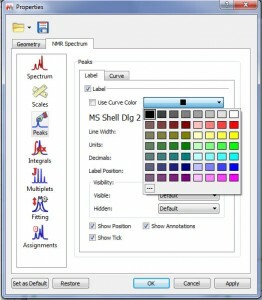 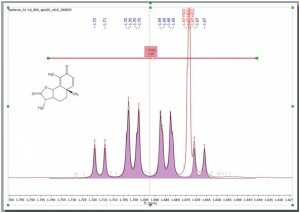 Improvements in the Assignment feature The assignment features in Mnova have been greatly enhanced with the objective to very significantly improve the workflow of the chemist when assigning multiple spectra sets. 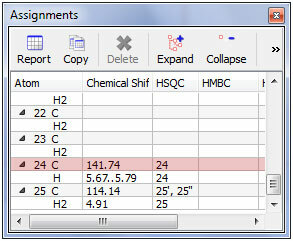 New graphical assignment labels for 1D and 2D, which can be permanent as well as activated on hovering, to allow the user to more easily keep track, with a quick inspection, of peaks which have and have not been assigned. 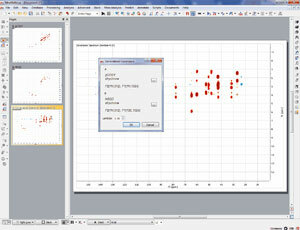 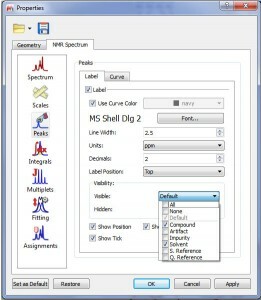 Capability to update Data Analysis graphs after having changed the order of the stacked spectra. 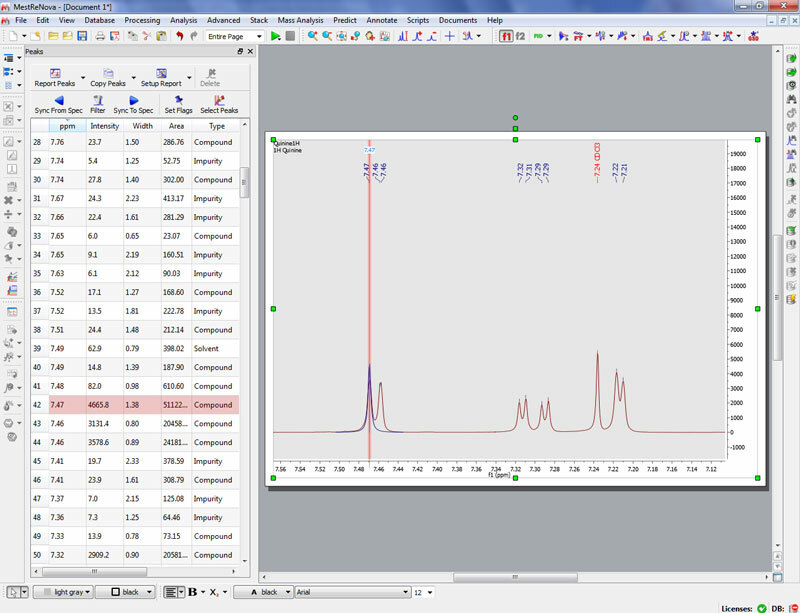 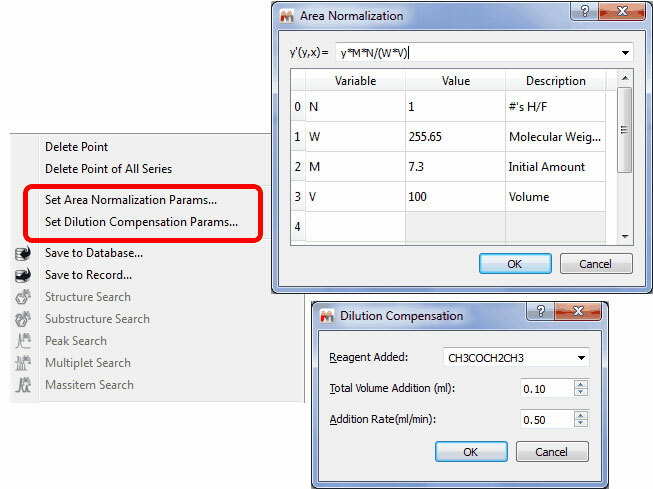 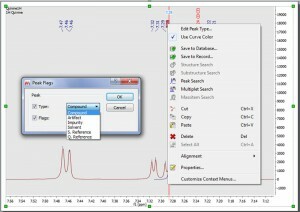 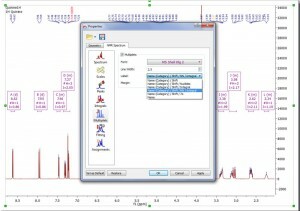 Capability to ‘Set Area Normalization and Dilution Compensation Parameters’ (by right clicking on any point of the Data Analysis Graph) for example for Reaction Monitoring analysis, to account for situations where, for example, further dilution has been carried out half way through the reaction. 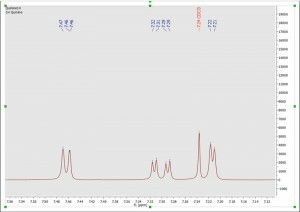 Enhancements in the spectral alignmentWe have improved the traditional cross-correlation algorithm by working on the first derivative domain calculated using an improved Savtizky-Golay routine in which the order of the smoothing polynomial is automatically calculated. 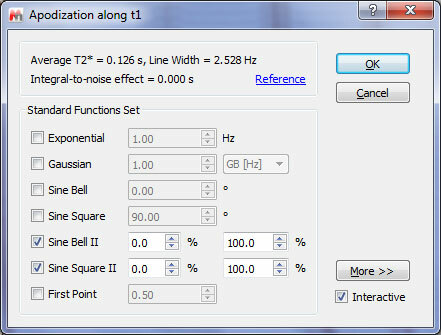 The idea is to minimize potential problems caused by baseline distortions or very broad peaks. 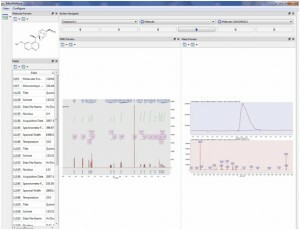 We have found this method to be very useful not only in the context of metabonomics, but also in the alignment of Reaction Monitoring data sets. 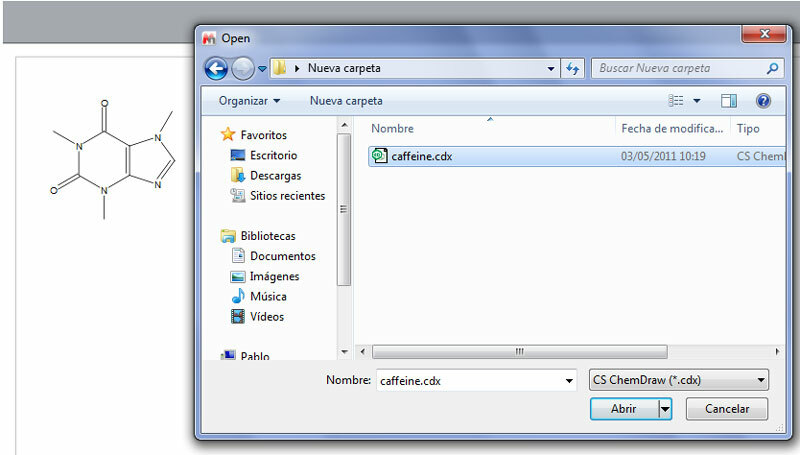 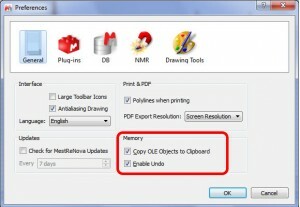 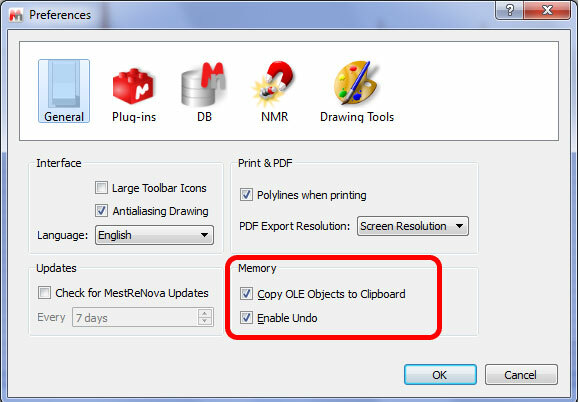 Capability to avoid memory issues, when you work with huge datasets (allowing the user to not copy the OLE objects to clipboard or to disable the Undo feature). This option will be used to copy the zoom and cuttings from one spectrum to another (or others). 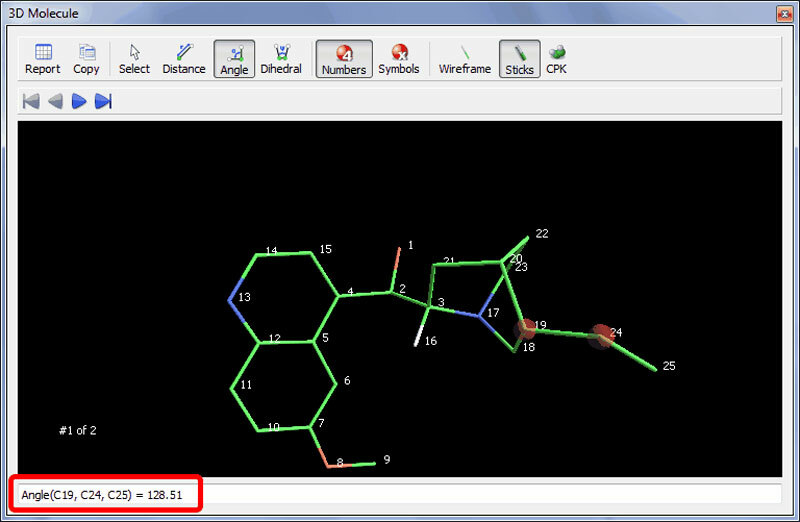 Capability to predict different conformers and to show them in a 3D molecular viewer. 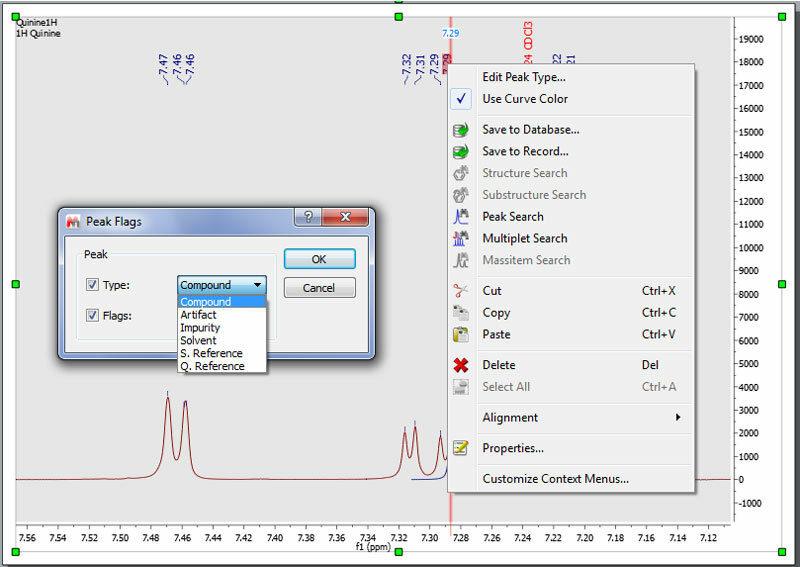 Capability to show the prediction values as atom label. 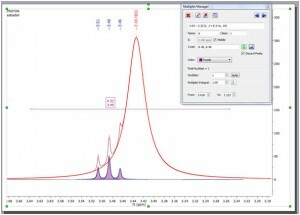 Capability to select the UV trace from a given wavelenght range. 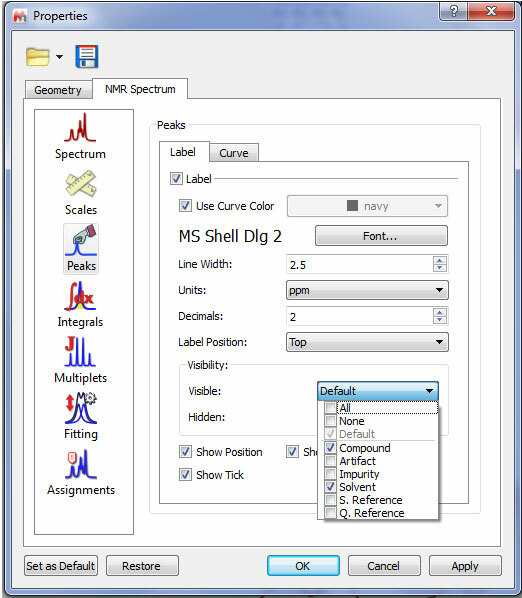 Fully integrated within the Mnova GUI, you can save or drive searches directly from within your Mnova GUI, by using the new menus, new toolbars or by right clicking on any object. 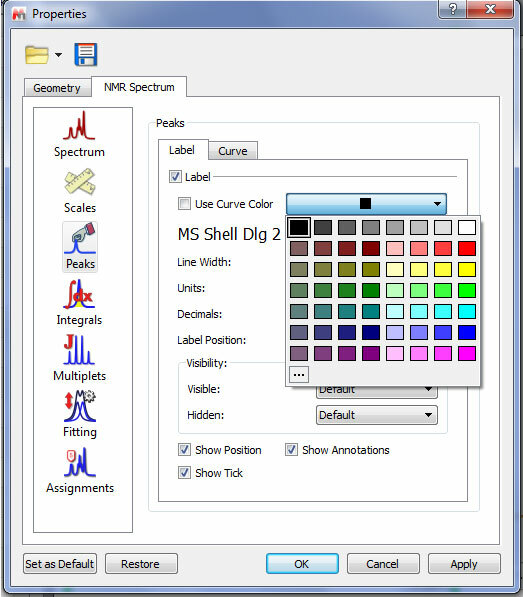 Search 1D and 2D peaks, multiplets, isotopic clusters or MSMS peaks, or a combination of all those, to quickly find information about any similar data your organization has run in the past. Please note that this plugin has a server-client architecture, so you will need to install the server and you will need to add a license to the client to be able to use the functionality.Find out more about Mnova DB. 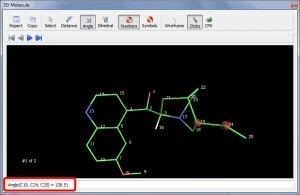 A new 3D molecular viewer has been implemented, allowing the user to measure bond distances, angles or dihedrals. 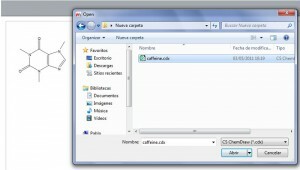 Previous ArticleHow to install Mnova in batch mode?